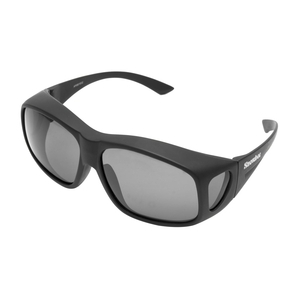 Snowbee Prestige Over-Specs Sunglasses. Designed for the angler who wears spectacles, these over-sized sunglasses fit neatly right over your existing glasses. The deep top frame ensures they sit clear of your glasses and together with the side lenses, prevent any top or peripheral light entering.